Exactly one week ago tonight I sat in the stalls of the Edinburgh Playhouse (Row J : seat 17 with Mrs Villain beside me in seat 16) and witnessed what I reckon must be my 20th or so show by Nick Cave. While every single one of those love shows has been a standout in one way or another, thanks in part to his willingness to rotate the Bad Seeds who go out on tour and thanks in part to each show being about 50% new material and 50% from the now extensive back catalogue, there was something truly wonderful about this latest show. It wasn’t a full Bad Seeds back-up nor was it a solo show – the five-man line-up ensured it pitched itself somewhere in-between. I came away thinking that it may even have been the best show I’ve ever seen from the great man – he was in fine voice, great humour and the arrangements he had made to some of the old classics had to be heard to be believed. I came away determined that he would be next up in the compilation album series but only after I’d recovered from the ordeal of whittling The Clash down to ten songs. I always knew it would be a tough task choosing just ten songs for a best of Nick Cave compilation. It was never what to include, more what to leave out. That’s why I expect so many “you should have included…” and “I would have had…” comments, but that’s the fun of doing it, right? I’m a huuuuuuuuuuuuuuge Cave fan, but I came to him rather late. I’d heard bits and pieces of his work over time, but it wasn’t until ‘Murder Ballads’ in 1996 that I began to engage with his music properly. Now I can’t get enough of the guy. 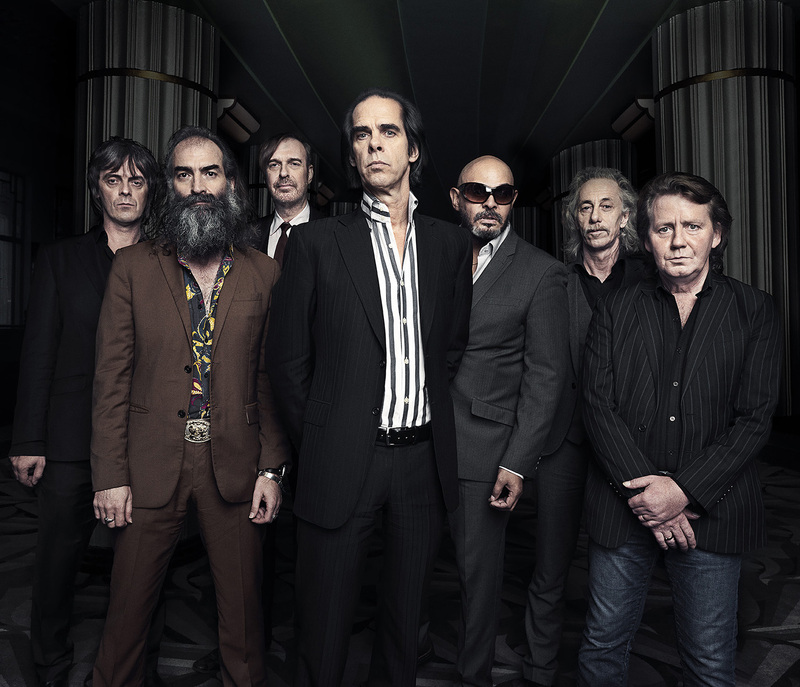 So for better or worse, here’s my contribution to JC’s excellent series – ten brilliant tunes by Nick Cave and the Bad Seeds, a studio side and a live side. This was tough and the result is controversial (nothing from Let Love In – set the flame wars alight!) but I don’t regret a single one of these choices. ‘Henry’s Dream’ is one of my top 5 Bad Seeds albums, and this is one of the best opening tracks of any record. It’s dark and menacing, but poetic and stirring. Nick’s an amazing storyteller and few songs illustrate this better than Papa Won’t Leave You, Henry. A great way to start. Talking of dark and menacing, how about the tale of Elvis’ birth delivered Cave-style? A fine example of how a rock band can create an uncomfortable atmosphere and mood. Nick’s growling vocals, Barry Adamson’s ominously brooding bass, Blixa Bargeld’s scratchy guitars and Mick Harvey’s pounding drums combine to create a song that’s blacker than black. But it’s not all fire and brimstone, sometimes Nick writes the most beautiful and touching ballads. Here’s one of his very best and one of my all-time fave songs of his. ‘Murder Ballads’ is equally disturbing and hilarious. It’s also ridiculously misunderstood by people who don’t get what Nick Cave is about. I loved this track on first listen and it still rates as my fave on the album. The Grinderman project undoubtedly had an effect on Nick and his cohorts. ‘Dig!!! Lazarus Dig!! !’, the first Bad Seeds album following that side-project was altogether rougher, tougher and meaner than anything they’d done in a long time. Really hard to pick a single track from it, but I went for this one because I think it sums up the whole record. And the lyric “I feel like a vacuum cleaner/A complete sucker” cracks me up every time! Cave has done countless versions of this track and each one is absolutely TERRIFYING. It’s the first of his tracks I ever heard and I felt really uneasy on hearing it, but utterly intrigued at the same time. This version, from the ‘Live Seeds’ album, is very probably the best version of all. Ridiculously upbeat song in which our Nick laments the loss of his muse and the onset of writer’s block. Hard to believe Nick Cave made a gospel (or should that be ‘gothpel’) record, but here’s proof that he can turn his hand to anything. I love this track so much. As cutting comments on gated communities and the God-fearing citizens who populate them go, this song has to be the best, doesn’t it? I remember he did a quite extraordinary rendition of this on Jools Holland’s show around the time of its release. At the end of the show, Jools asked a few of his guests who their favourite act on the show was, and a soul singer I’ve forgotten remarked: “Oh, Nick Cave. So spiritual.” She had completely missed the point. But isn’t that Nick all over? ‘Push The Sky Away’ was/is an absolutely remarkable album. It’s like Nick has found a new wave of creativity of late, you feel he could go on forever and always remain unique and relevant. Jubilee Street is as good a song as he’s ever written. I suppose if Nick Cave is going to be remembered for just one song, this will probably be it. It has become like an unofficial Australian National Anthem, but it’s live that it takes on a new life and at times it’s spine-tingling. This will, I’m sure spark as lively a debate as last week’s on The Clash. I’m gearing up to make my own contribution to the debate. I’m with The Robster on the particular live version of The Mercy Seat that he has selected….but only until the point when, and I really hope it is a when, the version being played on the current tour is given a release. Big thanks Robster….and without giving anything away to T(n)VV readers, feel free to throw in that further contribution you mentioned in your e-mail. Just watched 20000 days on earth. Strange to think of the king of southern gothic living in Brighton. It’s almost impossible to collect all the good songs on one record (remember last week). The Robster did a very good job – especially the live version of Mercy Seat. On my list would be his version of In The Ghetto and more from Kicking Against The Bricks, Stagger Lee, John Finn’s Wife …. I look forward to that Walter…. I was lucky enough to be at Nick’s Edinburgh Playhouse gig too; I loved his story of how he wrote one of my favourite tracks (‘From Her To Eternity’) in bed with Anita Lane; that would have to feature for me. Also ‘I Had a Dream Joe’, (I love the lines “Where did you go, Joe, all dressed up in your ridiculous seersucker suit”). And I agree with Walter about In The Ghetto being on there too. But don’t ask me what I’d take out, it’s just too hard to decide! another impossible artist to collect just 10 songs from, and i won’t even try. but if i would try, however it would end every attempt would have “Watching Alice” on it. impossible without. Stagger Lee. All I’m saying. Great job! Love to see a track from Live at KCRW — T(n)VV material is usually very UK- if not Scottish-based, and KCRW is down the street from my house! One of the very best college/public radio stations in America, I’m proud to say.